The main scope of eXPRESS Polymer Letters (Express Polym Lett; ISSN 1788-618X) is to provide a very fast first publication possibility related to the following topics: polymers; polymer composites; blends and alloys; nanomaterials; molecular engineering; tailor-made polymers; biodegradable and biocompatible polymers; smart materials; polymer gels and membranes; reinforcements and fillers; polymer processing technologies; rubbers and rubber technologies; interfaces, interphases and adhesion; thin layer technologies; material testing and properties; recycling; modeling and simulation. We are ready to publish any short original publication, new research result as well as review articles covering broader topics. The strict double blind peer reviewing (including screening for plagiarism prior to sending the manuscript to the reviewers, carried out personally by the editors using the databases of WoS and GoogleScholar) and editing process is very short, the publication may appear even within 3-4 months after submitting the manuscript. The journal is electronically published and indexed, is printed at the end of every year, and the printed version can be found in several libraries all over the world. eXPRESS Polymer Letters is an open access journal, both downloading the published articles and publication is free of charge (neither submission charges, nor article processing charges are charged). The users have the right to read, print, search, download, copy, distribute or link to the full texts of these articles, given that they credit the original source, without any alterations or commercial use. eXPRESS Polymer Letters is, however, not only a journal, it contains data related to other periodicals dealing with similar topics, as well as announcements of planned conferences. Therefore this journal is recommended to researchers, teachers and students active in the field of polymer science and related multidisciplinary topics. The journal is published at latest on the 1st of each month. eXPRESS Polymer Letters is indexed by several organizations, among others Clarivate Analytics and SCOPUS, and the articles of eXPRESS Polymer Letters can be found in the database of Web of Science® also. 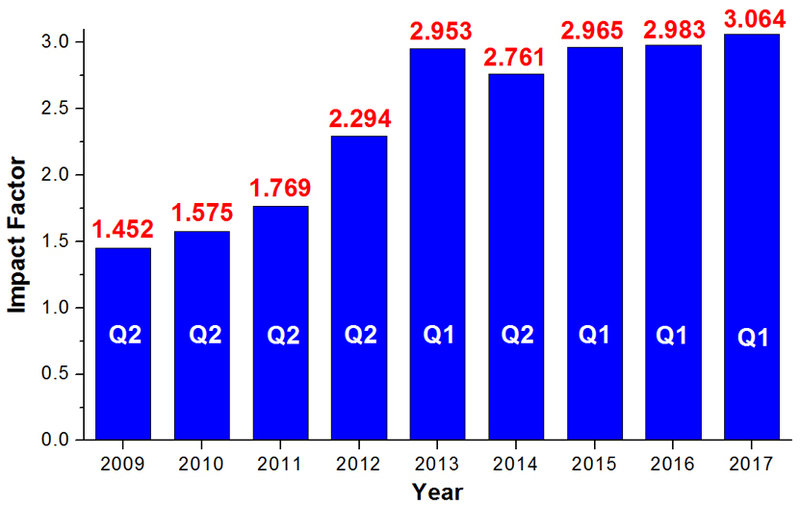 The journal received firstly the impact factor in 2010 (referring to year 2009) since then it has been increasing steadily. This policy provides information about what data we collect and what we do with the collected data in compliance with the General Data Protection Regulation (GDPR) of the European Union. By subscribing to the newsletter of Express Polymer Letters you will be asked to provide your e-mail address, which will be used to contact you via e-mail to provide information about the new articles published in Express Polymer Letters when a new issue of the journal is published. You can unsubscribe from these notifications any time at http://www.expresspolymlett.com/newsletter.php. To act as a reviewer or to submit an article, you need to register a user account in the manuscript central of Express Polymer Letters. During registration you will be asked to provide some personal information (title, name, e-mail address, institution, address) required to set up the user account. Express Polymer Letters will use this information to contact you during the reviewer or the publication process. As a registered user, you can access your account any time in the manuscript central and make changes in your personal settings. All personal data collected from the subscribers of the newsletter and the users of the manuscript central of Express Polymer Letters is protected against unauthorized access by third parties by the application of appropriate security technologies.